Full venue styling or finishing touches. 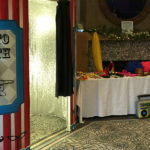 No matter the event, everyone wants their venue to look spectacular, so let your imagination run wild with ideas then speak to Booths4you about making them a reality. We can help bring the ‘WOW’ factor to any room with the use of mood lighting, starlit floors, walls and ceilings to the crisp table and chair covers with bows, runners and centre pieces. Have one or have them all, bring your room to life or just add that amazing finishing touch, we would love to help. Add sparkle and glamour to your party or event! 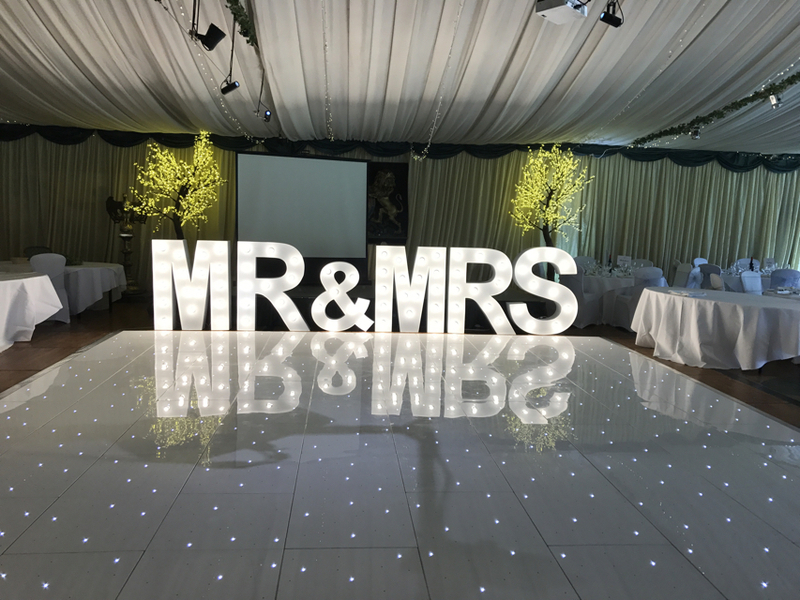 Our LED dance floors enhance any venue holding a wedding, party or corporate event, with the twinkling lights really bringing the dance floor to life! We have the perfect choice of black, white or a black and white patterned floor to give your room a spectacular finishing touch! Our LED dance floors enhance any venue holding a wedding, party or corporate event, with the tinkling lights really bringing the dance floor to life! We have the perfect choice of black, white or a black and white patterned floor to give your room a spectacular finishing touch! The perfect way to make a statement! Enhance any room with our fantastic 4ft giant light-up letters and numbers – we have the full alphabet and all the digits so let’s get creative! Whatever the occasion, why not say it in lights! Tell us your idea and we will give you a quote – we love to spell different things! Mood lighting or uplighters can bring a splash of colour to any room or feature wall. With carefully placed lighting plain magnolia walls can come alive with a colour that creates an amazing ambiance and atmosphere that you and your guests will love. There are lots of colours to choose from and with easy to use remote controls you can choose a number of colours to fade in and out, or just set the colours to change at different times throughout your event. A fantastic way to finish any room, a starlit backdrop behind a wedding top table, stage or just as a feature wall in the room looks spectacular. You have the choice of a white or black curtain, allowing it to fit in with any rooms decoration. For a wedding why not add a top table starlit skirting or even a skirting for the cake table, both are the focal point across the daytime and into the evening so lets really emphasise them! Imagine the old school or college projector, but then bring it into the 21st century! These small projectors are called GOBO machines, they have small discs inserted into them that are designed by you/us, then the image is projected onto a wall, floor or ceiling. All GOBOs are made bespoke with the glass GOBO given to you as a keepsake in a display case at the end. Centre pieces bring a table to life; whether its a perfect floral display, giant vases filled with colour or the candles twinkling in that beautiful candelabra, Booths4you will help you with that special creation. We have listed some options but we need you to help expand on what your preferences are, then we can get to work, we can’t wait to talk to you and get creative! 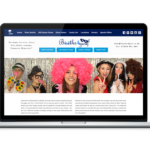 Your Event, Your Theme, Your Choice. Whether its 75 or 275 guests, one of the focal points for any event where food is to be served is the table and chair decoration. This is the foundation of any colour scheme or theme, so don’t just stick to the limited choices of your venue, let Booths4you help you decorate the room your way. 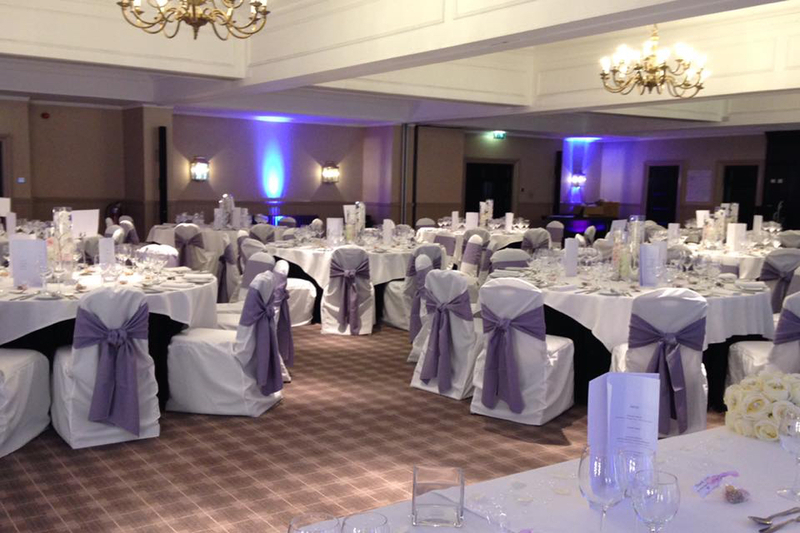 Most venues will provide the chair covers or table linens, but if they don’t have what you want let us bring our crisp clean linen’s along to start the process of dressing the tables or chairs. Then in keeping with your theme let’s add some colour with the use of chair bows, runners and overlays. Our collection is growing by the week, plus we can have bows and runners made to order, give us a call and we can discuss options. We can then arrange a meeting with samples for you to choose from. The options are endless! Bringing your room or a feature to life. Finish your room off in style! Project your name, company logo or message onto any wall or dance floor. Bring a bit of Glam to your event. We offer great discounts for combo bookings! 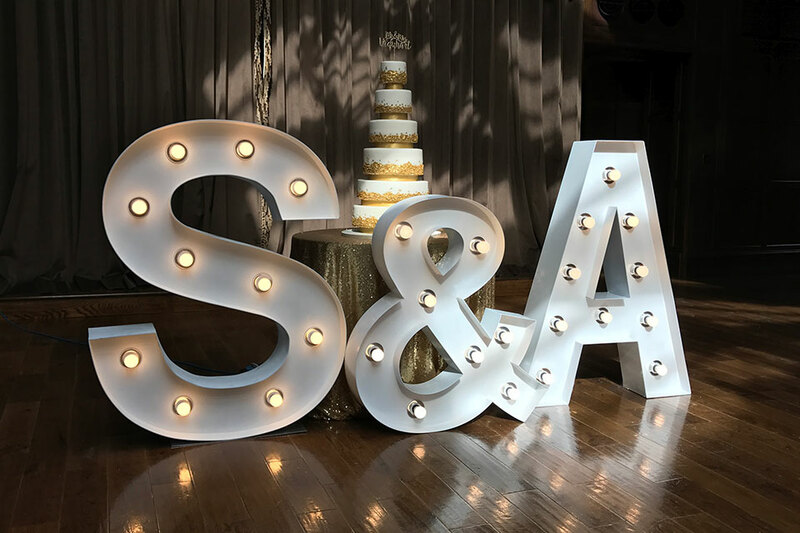 Why not add giant letters to your dancefloor or accompany your photobooth with a candy cart! The more you book, the more you save – get in touch to find out more. Booths4you started in October 2015. With 20-years’ experience in a customer facing business we knew we could create an unrivalled level of service to match the quality of our products. 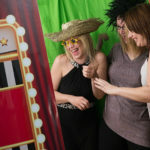 I don’t have a clue about Photo Booths! Booths4You, what a first 18 months! © 2017 Booths4you Ltd. All Rights Reserved.